Music licensing is a legal requirement for any business that intends to play copyrighted music in their business whether it be for live entertainment purposes, as background music or even music on hold. Regardless of if you provide featured music entertainment by means of a live band, duo or solo singer; a DJ spinning some tracks or karaoke— failure to have the necessary music licensing in place will result in serious legal action and hefty fines. It’s the LAW! What Music Licensing is Required to Perform Karaoke? Pubs, Clubs, Restaurants & Karaoke Bars are venue (business) types that are required to carry very specific license that covers entertainment at their venue. It is the venue owner’s responsibility to provide the correct license; not that of the karaoke KJ or provider. Public Venues - Parks, Fairs, Festivals, etc are licensed on a per event basis via the event organiser. You must use only legitimate karaoke music that you have purchased— not illegal downloads, burnt copies or cheap illegal karaoke files. You must be able to provide all receipts for any karaoke disks or files downloaded onto your computer or software used. *Backed up owned disks; which are either stored in another format or on your computer require written permission from the manufacturer and an AMCOS reproduction license. 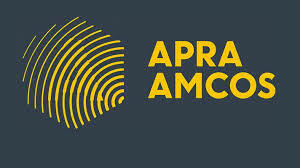 If doing a karaoke gig at a school hall, private party, festival, park, etc which doesn’t usually require music licensing, you will need a public performance license from APRA. Likewise, if playing music between sets at such a venue; you may also require an additional (separate) public performance license from the PPCA. All karaoke operators (KJs) are required to register with Music Rights Australia which will provide a valid registration number for each karaoke device registered by the operator including multiple rigs. An up-to-date comprehensive Registration Database contains all information regarding the karaoke industry. This database along with media and campaigns are used to conduct investigations into fraudulent operators and/or any music licensing copyright infringements with legal action & heavy fines incurred to any guilty parties. And it's not worth the potential fines if you get caught! Ensure that you only hire registered Karaoke Operators (KJs) that use legitimate (licenced) karaoke music— not illegal downloaded files or burnt copies. You will also require a separate public performance from PPCA if you play other (non-karaoke) recorded music at your venue. Do The RIGHT Thing & ONLY Hire Registered Karaoke Operators that use licensed karaoke music! It's not worth the potential fines as you may also be prosecuted along with the illegal KJ! at your venue by allowing the KJ to use pirate karaoke discs or MP3 files.